There's no shortage of inspiration-filled cookbooks from Portland chefs, foodies and authors, but "Saving Pan" is one in its very own category. This 97-page, full-color, soft-cover cookbook of vegetarian recipes is written by 14 teenage authors, who spent nearly every Friday night for the past three years collaborating on the project — while they were in middle school. The girls, who met as friends at Beverly Cleary School in Northeast Portland, wrote to noted chefs and activists around the world, soliciting their favorite vegetarian recipes. They curated them personally, adding their own family favorites as well, through an extensive process of cooking and taste testing. The final product includes recipes from an impressive list of local and global celebrities, including first lady Michelle Obama, Michael Pollan, Thomas Keller, Alain Passard, Mark Bittman, Aviary chef/owner Sarah Pliner and more. The recipes range from simple to elaborate: pancakes and frittatas, monkey bread and smoothies, soups, pastas, ratatouille and the quinoa chickpea burger from Jaco Smith, executive chef at Lechon in Portland. There's also dessert: macarons, cobblers, carrot cake, snickerdoodles and Papa Haydn's coveted French Apple Cake. The girls' mission: To donate 100 percent of the proceeds from the book to help the plight of orphaned chimpanzees in the Republic of Congo, through the Jane Goodall Institute's Tchimpounga Chimpanzee Rehabilitation Center — a sanctuary that takes in chimps whose parents were illegally hunted and sold on the black market for "bushmeat." "In sixth grade I was absolutely obsessed with primates and the environment and stuff, and wanted to get involved in some way," says Brooke Abbruzzesse, the ringleader of the 14 authors, now a high school freshmen. "We can't directly educate the people who are involved in the bushmeat trade, or supply the country with a more sustainable protein choice," says Emma Francioch, one of the co-authors. "But we can help in other ways, and that's where this cookbook comes in." By highlighting the issues related to the bushmeat crisis, they hope to create a ripple effect of change. 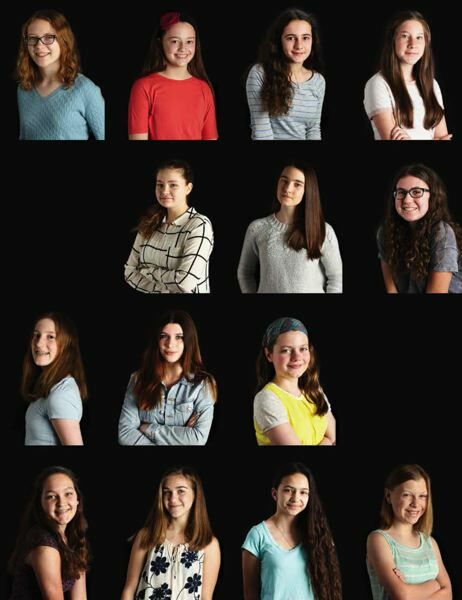 The girls led every part of the book production, including writing biographies for each contributing chef, writing the chapter introductions, designing paper-collage portraits of the chefs as illustrations and participating in the photo shoot with a local professional photographer. They formed a local chapter of Roots & Shoots, Goodall's nonprofit youth service program — formed in 1991 to encourage young people to take action and help make the world a better place for people, animals and the environment. The team shared duties via Google docs, and discussed what they liked and didn't like after preparing and tasting each recipe. 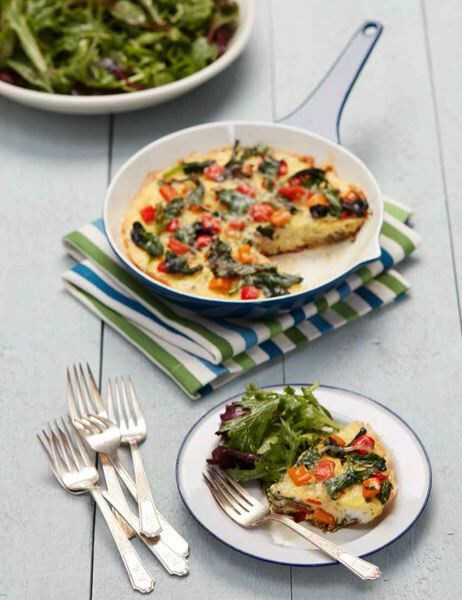 They blogged about the experience, noting that even the pickiest eaters enjoyed the kale salad by Portland Chef Jenn Louis, and that some recipes had to be adapted for do-ability. Famed French chef Alain Passard's hot-cold eggs with maple syrup, for instance, instructed them to slice the tops off the eggs with a razor blade; they found it easier to crack it instead. The girls also presented their project to Goodall herself when she came to Portland in 2016. The first print run of "Saving Pan" (a reference to cooking as well as the genus name of chimps) sold in less than a week, raising $4,000 so far for the sanctuary. Abbruzzesse and her team hope to inspire other kids to pursue their dreams as well. "If a kid has an idea," she says, "and they get together a group of friends they know they can work with, and really persevere, and have the help of adults, they can create something that's really amazing." For more info, and to buy the book: www.SavingPan.com.